Live near Philly and looking for a brand new, ultra comfy mattress? 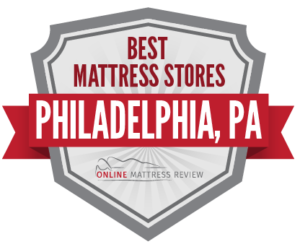 We’ve narrowed down some of the best mattress shops in Philadelphia to help you start exploring options. In “the cradle of liberty” do you ever feel the need to be rocked to sleep after a hard day of work? Well on that count Philadelphia won’t dissapoint, with a wide range of affordable and quality mattress shops throughout the city’s many vibrant neighborhoods. If you’re looking for a mattress store in Philadelphia, look no farther than below. We’ve broken the city down into three main regions: South Philadelphia, Midtown, and Northern Philadelphia. We even went a little further out for those who are looking for organic and sustainable mattresses. Check out our mattress selections by state or find the perfect mattress for you by the regions of Philadelphia listed below. The Mattress Factory (730 Baltimore Pike) really makes you feel like you’re at home in the city of brotherly love. You are greeted with a cool calm and collected staff that will not pressure you to buy. This is a great location for mattresses of various price points. Brothers Fine Furniture (5925 Woodland Ave) is the location to head to if you are looking for mattresses on a budget. You will find both quality and affordable mattresses here as well as bed sets and everything to go on top. Mattress Firm Whitman (2720 S. Front St.) is a great place to head if you are wondering: where can I get a mattress near downtown Philadelphia? You will always find a great deal on high quality mattresses here, and the sales clerks are easy going and knowledgeable. South Philly Mattress (Reed St.) is the place to go if you are looking for high quality that is affordable and convenient. Not only will South Philly Mattress accommodate a same-day delivery, but are fair with return and exchanges if you decide to change your mind. We selected South Philly Mattress for their courteous accommodating customer service and great business model. Grossman Furniture (206 Arch Street) for the great mattress selection as well as the high quality of customer care. You can also complete your bedroom set here. Mattress Firm Center City (1722 Chestnut St.) is a very reliable branch. They offer same-day delivery and quality customer service. Mattress Firm Center City is a great option for the person who wants minimum hassel and a quality mattress to book. The sales clerk at this location really do all of the work for you. If you are looking for convenience and quality. This will be a great fit. Pearlstein’s Furniture and Mattresses (2521 W. Girard Ave.) feels like a mattress shop. This is a great place to go if you want quality care, need someone to talk you through mattress technology, or if you are just ready for a great deal. Pearlstein’s Furniture and Mattresses will help you through every step of the process. The Mattress Man (7421 Stenton Ave.) is run like a family-owned business. You will find quality and trustworthy products and want to return again and again for your mattress needs. If you are looking for great service and great bargains, The Mattress Man on Stenton Ave. has got you covered. Mattress Firm Northeast Philadelphia (9906 E Roosevelt Blvd.) is known for their top-notch customer service that comes by way of a knowledgeable staff and a friendly calm atmosphere. If you are unsure of which mattress is right for you, Mattress Firm Northeast Philadelphia is a very good place to start. Ashley HomeStore (9755 Roosevelt Blvd.) has everything you need to get a great night of sleep. They offer high quality mattresses and box springs to boot. As a furniture store, you can also pick up your bed frame and you will be ready to roll. If you are looking for trusted brands, a one-stop shop for your home furnishing and mattress needs, as well as great customer service, then look no further. Mattress FIrm Roxborough-Manayunk (7100 Ridge Ave.) is great for you Northern Philadelphians. You will find the tried and true customer service from all Mattress Firms in a convenient location. This is a great store if you are looking to purchase a mattress just for you, or for your whole family. If you need something organic, you may want to check out Your Organic Bedroom which is located near Philadelphia just North in Doylestown, PA (323 S. Main St.). This is where to go if you are looking for chemical-fre and sustainable materials for you and your family.